FernRidge breeds Muli-gen Labradoodles in mini and medium sizes on 8 wooded acres in Central Oregon. Our puppies are raised in our home- not in kennels. Fat little-hugable teddy bears! ALAA, ALCA and BBB of Oregon/Wa member. Non-shedding and allergy friendly! Fully tested parents. 3 yr. health warranty. All colors including parti’s. We will personally deliver puppies to any part of the world! Specializing in Miniature Multi-generational Australian Labradoodles. Our dogs live in our home with us or in guardian homes and are first and foremost beloved pets. Puppies are born and lovingly raised in our home. Our breeding dogs undergo extensive health testing to insure their health and the health of our puppies. As an ALAA Gold Paw breeder we guarantee our puppies against life altering genetic diseases. Your puppy comes to you happy and healthy, spayed/neutered, crate trained and litter box trained with appropriate worming and vaccinations completed. We look forward to you joining our puppy family. Gorgeous Doodles – Specializing in Breeding Quality Australian Labradoodles with gorgeous non-shedding fleece coats! 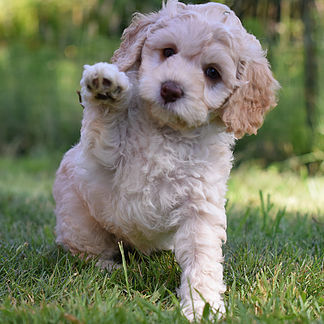 Mountain Park Labradoodles – Experienced breeder of fine Australian Labradoodle companions- from our home to yours!